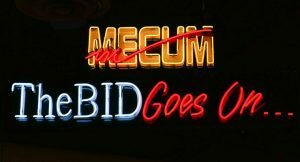 I will be onsite at the Mecum Auctions Indianapolis event at the Indiana State Fairgrounds performing Pre Purchase Inspections and Appraisals on any of the vehicles that will sold at auction. The auction runs May 17th thru 21th. We can inspect single or multiple cars for you. Contact me today to discuss the services that I can provide. Our services can prevent costly mistakes and allow you to take advantage of many of the great opportunities that will cross the block all week long.